African Table runner. Strip piecing and raw edge reverse appliqué. 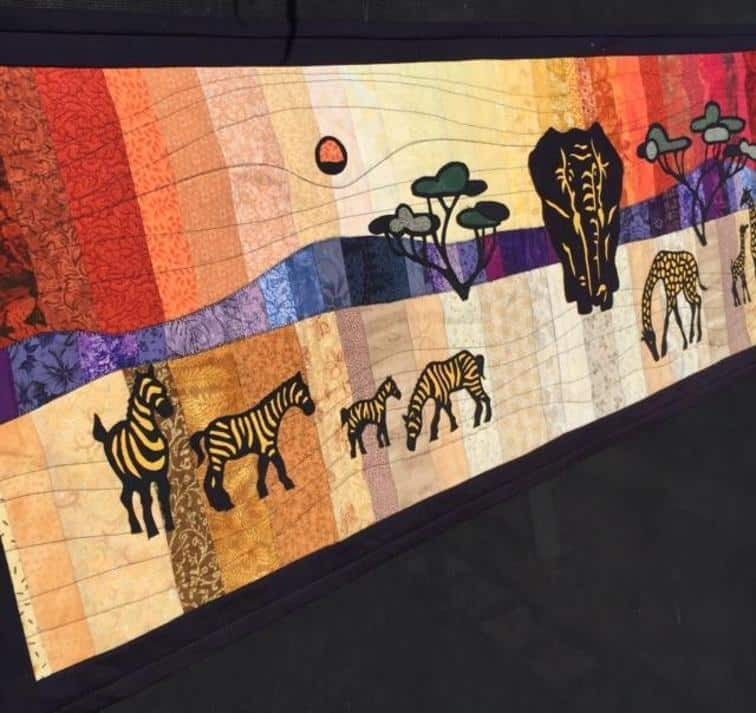 This Table Runner captures the feeling of a much larger quilt called “Savannahscapes”, which is a heavily appliquéd quilt that incorporates the hot setting sun and the outstretched trees and the wild animals that inhabit the African Savannah. 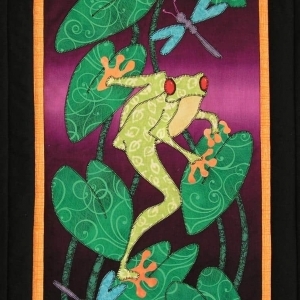 The original quilt is a single bed sized quilt and is far too intricate to become a commercial pattern so this “baby” version was created as a table runner. 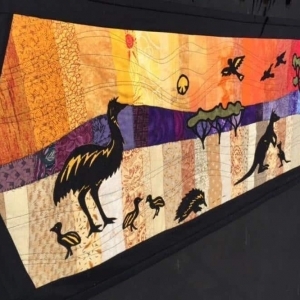 This runner uses strip piecing for the background landscape and reverse raw edge applique to create the silhouette animals and trees. 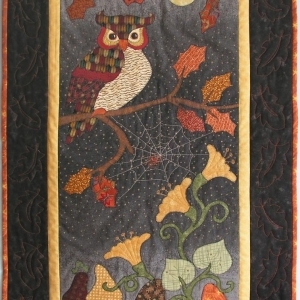 Some free motion quilting is incorporated into this stunning design. 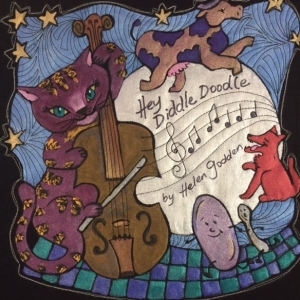 This pattern has 1 file of Instruction and 4 parts to the design to download.